WASHINGTON—The Supreme Court refused to be drawn into a high-profile lawsuit about abortion-related undercover sting videos when it declined April 1 to review a lower court’s decision denying the Center for Medical Progress’s motion to dismiss Planned Parenthood’s federal and state claims against it. CMP, led by activist David Daleiden (pictured above), took the position that the videos were a valid exercise of First Amendment rights. The group also claimed that the Planned Parenthood lawsuit went against California’s “anti-SLAPP” laws, which forbid strategic legal action designed to silence individuals or groups. The high court’s denial of CMP’s petition for certiorari was apparently unanimous, and, according to its custom, issued without comment. The watchdog group was appealing the denial of its motion to strip out the claims that the San Francisco-based trial judge, U.S. District Court Judge William H. Orrick III, issued. The denial was upheld by the Ninth Circuit Court of Appeals. Orrick was appointed by former President Barack Obama. He is the judge who entered a permanent nationwide injunction against President Donald Trump’s Executive Order 13768, which would have withheld federal funding from so-called sanctuary jurisdictions that refuse to cooperate with federal immigration authorities. The same circuit court upheld the ruling in August 2018. This means Planned Parenthood’s multipronged lawsuit against the Center can move ahead. The goal of the pro-life Irvine, California-based Center, which describes itself as “a group of citizen journalists dedicated to monitoring and reporting on medical ethics and advances,” was to throw a spotlight on what it considers to be the unlawful, immoral practices of abortionists and the medical research industry.” The videos succeeded in bringing attention to the cause, which led to various investigations in Congress and more than a dozen states, as well as attempts to halt the flow of federal money to Planned Parenthood. There was also significant blowback against CMP. In addition to mobilizing a vast armada of left-wing allies across America to defend itself and laws it favors that allow easy access to abortion, Planned Parenthood sued CMP. America’s largest abortion provider claimed the videos showing its officials discussing the sale of fetal tissue violated federal conspiracy and wiretapping laws, as well as California’s law forbidding secret recordings, which critics say itself runs afoul of the First Amendment. 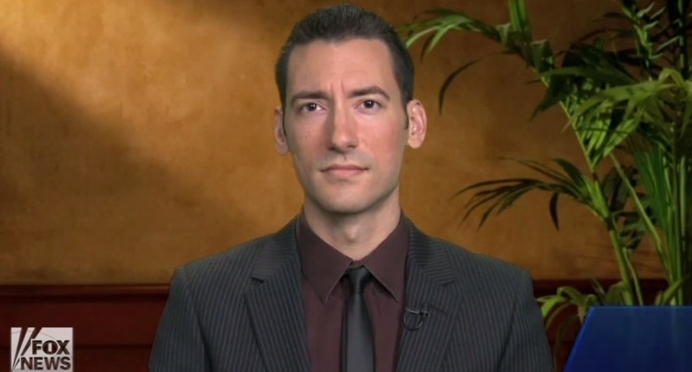 Planned Parenthood contends in the civil suit that CMP “engaged in wire and mail fraud, committed illegal secret recording and trespassing,” and lied to the IRS and the state of California to secure tax-exempt status for a fake health care firm it allegedly set up to gain access to private medical conferences about reproductive health. CMP claimed in its petition to the Supreme Court that its activities were constitutionally protected and that the courts haven’t treated the group fairly. “First Amendment jurisprudence is clear in its vigorous protection for the rights of journalists and speakers generally. Indeed, the Ninth Circuit has expanded that protection even farther than other Circuits. A mere three months before adjudicating Defendants’ appeal, the Ninth Circuit expanded that jurisprudence in a way that should have protected Defendants from all liability … Nevertheless, the Ninth Circuit ignored its jurisprudence and reversed course.